Growing up was a struggle. Family life could be hard and I often had trouble fitting in. But then, I left home and dedicated myself to creating my own life by doing well at school, establishing a career, and building my own relationships. Is that your whole story? Are there parts you aren’t seeing about your childhood or about your life today? Are there pieces of your story you don’t think you can talk about? Let me tell you a little bit of my own story. I think it will help you see your own story a little more clearly. I grew up in a family of self-starters: farmers, tinkerers, and caretakers of cows (hence, the grainy photo of a young me and a few cows). They all taught me about hard work and how to thrive in the natural landscape, but I didn’t necessarily learn how to tend to my own emotional landscape in those years. When I was old enough to trade in my muddy farm boots for the shoes of a soul seeker, a world traveler, a college student, and a teacher, I thought I would leave the muck behind. In my years living in a city as an educator, wife, a mother, and a therapist, I’ve learned something essential: no matter how clean or littered the sidewalk, we’re all just mucking through. You’ve worked hard and accomplished so much to get where you are today. Part of you thought that hitting a certain age, landing the right job, or finding a committed relationship would mean you’ve arrived at the point where life felt a little more... effortless. In reality, life is as complicated - and as mucky as ever. You’re feeling the strain of trying to balance it all, and many days, it feels like you’re losing ground. It’s important to take the time to look back on where you came from, to reflect what it taught you and to understand how it wounded you. It’s just as important to examine where you are now and find a firm place to plant your feet. In my case, I stay connected to my roots on the farm by keeping bees and tending chickens. The biggest difference between my life then and now isn’t the difference between an agricultural and an urban lifestyle. It’s the difference between feeling emotionally isolated and knowing that there’s always someone I can go to for support. I can help you access your past and work through the problems of the present. I’m here to help you understand life’s “muck” for what it is and help you find your way through anxiety, major life transition(s), depression, and relationship conflicts. Susan Stork, LCPC, NCC is a Relationship Therapist and founder Space Between Counseling Services in Baltimore City, Maryland. 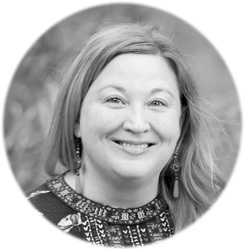 Susan works with Type A’s ---> Creatives as they balance schedules, stress, and the modern challenges of coupleship. Specializing in counseling for individuals and couples using Stan Tatkin’s PACT approach, Susan helps you move through the muck of life and into a life of purpose and deeper connection.